Atlanta Music Critic: Moszkowski who? The Atlanta Chamber Players’ (ACP) concerts are always a place to go to hear something new, off the beaten path, and intriguing. Last evening’s concert at St. Dunstan’s Episcopal Church (look up Dunstan; quite a man) was no exception. The special guest for the evening was the extraordinary violinist, Andres Cardenes, who was featured about a year ago also. The program began with Mozart’s 1784-Violin Sonata No. 32, K. 454. Cardenes and was accompanied by Elizabeth Pridgen, ACP Artistic Director. If you have either of these two artists, you know you will get big, polished, musical performances with technical wizardry to be heard in every piece. These two are a matched set and it worked beautifully. As elegant as the Mozart was, the real potboiler was the next work. Moritz Moszkowski (1854-1925) was an extremely popular composer in the late 1800’s. Known mostly for salon music, he was considered the equal of Chopin, Rubinstein, and Liszt. He had a decent income, but because of some unwise currency investments, he lost most of his money. In his final years, he was a pauper, dogged by ill health, and barely remembered for his music. Some of his students took up his cause in an order to raise money for him, but he died even before he could use it to pay his mounting debts. Today, Moszkowski is even more of a faded memory, and, in spite of occasional interest, he remains a musical footnote. In its wise programming decision, the ACP gave the Atlanta audience an opportunity to reassess this late Romantic composer. But, alas, it is hyper-everything. His 1903- Suite for 2 Violins and Piano, Op. 71 has soaring climaxes, arpeggios galore, a waltz, flowing melodies, and heart-tugging double stops. It is overwhelmingly thick and intense, displaying many of the characteristics that turned composers such as Debussy, Ravel, and Schoenberg away from romanticism. Maybe it’s that Moszkowsi’s intensity is simply too much for the modern ear; it was a tough slog to get through. I thought I needed an intermission, a latte, and a cigarette (and I don't smoke) about halfway through. It was good to hear as an academic exercise, but its schmaltz was over-the-top and tiring. The good news is that it was played impeccably by Cardenes and Pridgen, who were joined by violinist Helen Hwaya Kim. One intriguing part of this group was the contrast in the sound produced by Cardenes’ and Kim’s instruments. Cardenes’ has a dark, somber, polished tone, while Kim’s is bright, emphasizing mid-range tones. This added a bit of color beyond what Moszkowski likely anticipated. Brahms 1861 Piano Quartet No. 1 in G minor, Op. 25 was the final work on the program. Cellist Charae Krueger and violist Yinzi Kong joined Cardenes, Kim, and Pridgen for this monumental work. It’s playing time ranges from about 32 minutes to about 38. It is symphonic sounding- in fact, Arnold Schoenberg orchestrated in 1937 for the LA Philharmonic. It is loaded with Brahmsian melody, development, and dark colorings. While Brahms remains a staple of the concert hall, some would criticize his music for being excessive and intense, some of the same criticisms that could be leveled against Moszkowki. 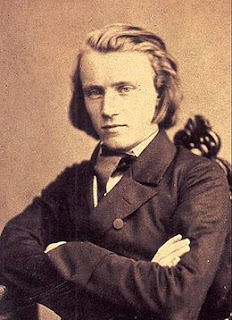 Yet Brahms has several things in his favor- his music yearns, not with a backward glance, but with a look forward. Even passage leads to the next, one necessarily leads to another. The final movement is breathtaking for the audience and the musicians. It is reminiscent of a Hungarian czardas, and it moves at breakneck speed. It includes passages of rapid bowing and pizzicati. Here again, the power of Pridgen’s piano and Cardenes violin playing were the driving forces for the entire work, but especially in this final movement. The richness of Krueger and Kong’s low strings brought fullness to the music also. All of the quartet members were technically brilliant and the performance was exhilarating. Thanks to the ACP for hosting Mr. Cardenes and for programming the Moskowski. Top flight musicians and intriguing programs are what make the ACP so valuable in Atlanta. It was disappointing that the turnout was not greater, but the diversity of the small group was impressive. This was another great evening of wonderful chamber music.